The following timeline shows major software development projects I have managed to date. 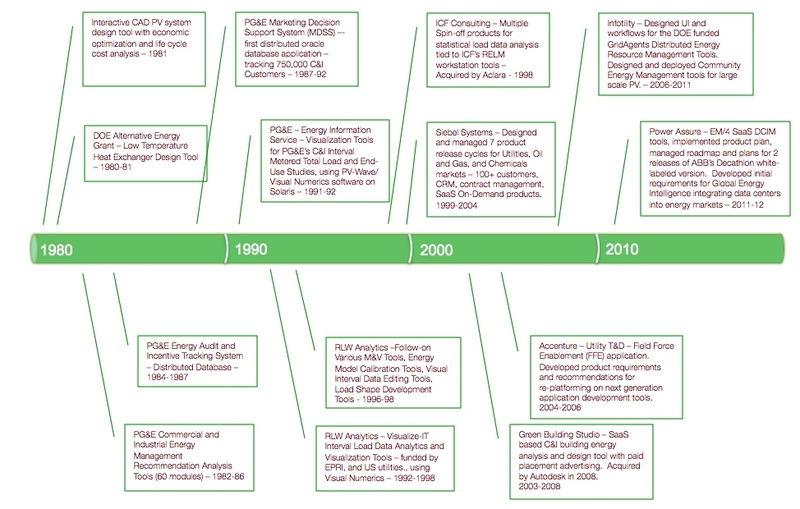 Many of these products are still in production, including MDSS at PG&E, Siebel Energy at Oracle, and GridAgent/Community Energy Manager at Pacific Controls. Several have led to acquisitions by other industry leaders, including KEMA, Aclara, Autodesk, and Pacific Controls.